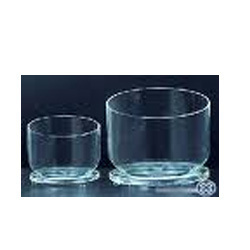 Prominent & Leading Exporter from Mumbai, we offer quartz glass crucibles with lid and vm crucible stand muffle stand. As a well known company, we are manufacturing and exporting a large range of Quartz Lab Crucibles With Lid.. The quartz crucibles contains low grade of contaminating metal oxides as well as other grain particles or substances. We are manufacturer and supplier of Volatile Matter Crucible Stand (V. M crucibles). We also make crucibles as per our client needs. Looking for Laboratory Crucibles ?